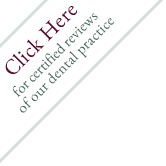 We view our patients as part of our dental family, friends that we want to provide the best dental services for. We want our patients of all ages to have a good dental experience, a lifetime of excellent oral health and a smile they love to show off. At West Mill Smiles we chose to employ the latest dental techniques, services and technology in order to provide the excellent dental care our patients deserve. We take the time to carefully listen to what our patients, finding out what their concerns, questions and wants are. Our doctors and staff provide the information patients need to make informed decisions and be active participants in their dental care.